Gene bods, 23andMe, have conducted some research which they believe indicates that misophonia is potentially a genetic trait. The numbers are relatively small at this stage, the findings are VERY broad so clearly a lot more research and testing needs to be done, but this is an interesting find nonetheless. Who are 23andMe? They’re a company who offer DNA genetic testing and analysis to the public. You pay them a fee, they send you a kit and you send them back a large plastic tube filled with your saliva, which they can then analyse. Basically you spit at them through the post. 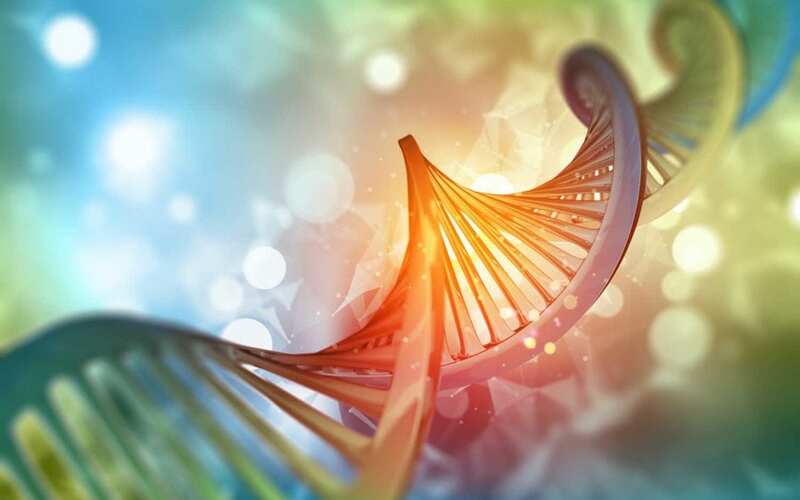 Now, primarily people have used the service to find out whether they are genetically predisposed to certain medical conditions or degenerative diseases. Like Alzheimer’s, Parkinson’s or Cystic Fibrosis. They can also show whether you’re more likely, given your genetic makeup, to have a positive or negative to certain drugs and treatments. There’s also the more fun, ‘family tree’ side where you can look at genetic traits related to which part of the world your ancestors were from. I have to thank my readers for sharing the misophonia angle here because a couple of them have received DNA reports and noticed that the findings indicate that they are more disposed to variant rs2937573. Misophonia in women vs men – It’s certainly the case that there at least *appears* to be a higher prevalence of misophonia among women than men. However, it may also be because men are, in some instances, less forthcoming about their health issues. A study conducted by the National Pharmacy Association in 2012 showed that men visited their GP 4 times a year compared to 6 times a year for women. Men also visited pharmacies 4 times a year on average compared to 18 times for women. Misophonia and ethnicity – They’ve quoted the gene variant as being associated with ‘people of European ancestry’. This is a bit of a red flag for me. The misophones who’ve contacted me on Allergic to Sound come from all over the world. While it is of course possible that each and every one us may have some European ancestry, somewhere down the line, I personally think it unlikely. However, I could be completely wrong here. That 20% figure – I can usually spot a fellow misophone in public – we have pretty tell tale signs – there’s a certain flicker that passes across the eyes when a trigger sound is in play… a rush for headphones… a jitteryness. Unless there is dramatically sliding scale of misophonia sensitivity I’d be surprised if as many as 2 in 10 humans have misophonia. Looking at my own friend set I would have put the figure much much lower. However, again this based on subjective observation rather than clinical findings. I suspect that what may be happening here is that the genes mentioned may have some role in sensory processing… or that they have a role in the sensitivity of the signals or responses coming into or out of the amygdala. This is fascinating, indeed. Thanks so much for the info. I like where you describe the telltale signs of a misophone in your midst (spot-on, as usual), and I would keep my eye out on my subway ride to work, except that I’m such a misokinesiac I have to spend most of my time with my eyes shut! Maybe I’ll start to glance around in future before I shut down. Thanks again, for all you do; it really does provide some comfort to me, and I expect to many others. Ah, thanks Julie, you’re very welcome! 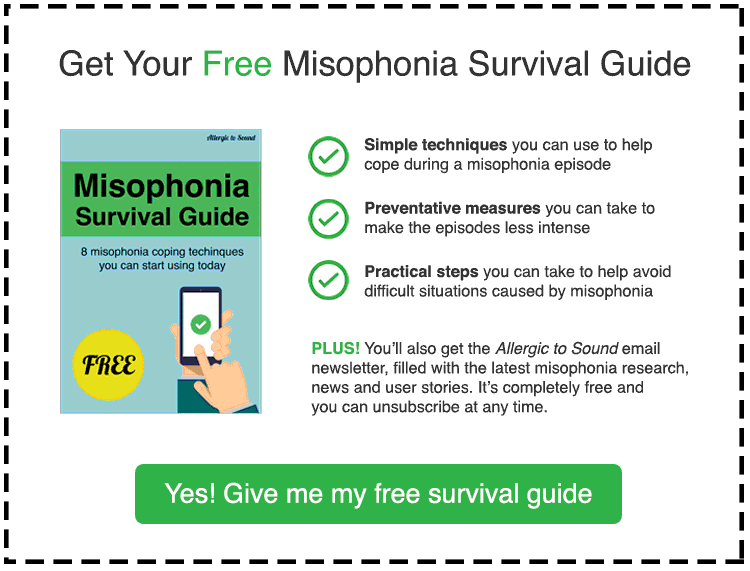 Perhaps misophonia is as common as the study suggests, only, the vast majority of those who have it are only a level 1 or 2 and therefore don’t have much- if any- reaction to sounds. I remember backs when my misophonia first emerged I started to pick up on a lot of sounds, I registered that I didn’t like them but there was no physical discomfort. I would just tell my friend to stop chewing with their mouth open- I just thought it was because no one likes to see someone’s washing machine. This is very interesting. I have both Misophonia and Misokinesia and my mother does aswell. Thank you I had not seen a connection made to any 23andme data until now. It may be that the genetic set up is higher than the epigentic reality of how many actually develop it and when. I’d be interested in knowing the triggering event(s) that cause the expression, and whether it could be reversed as in some other conditions, like autism? Is there research into environmental triggers? High copper, pollution, toxins, infections, heavy metals, bbb, nutrient deficiencies, gut flora/biome/viome, etc. I have miso, but also have a form of synasthesia where sometimes if I hear or see someone close to me discuss pain or reveal a bruise, I will feel the pain. My dad had this strongly and was told it was sympathy pain. I think I inherited this from him. If there is a contact to share 23andme results for this gene variant, please let me know. I have results A/G. I wonder if there isn’t related genes that might contribute – perhaps looking at synasthesia genes or even mythelation SNPs? I know of several adults, one a close friend, who developed miso midlife after exposure to mold. The other person who developed it late in life also thought there was a connection to mold exposure. It may be that there are numerous triggers for it. It would be interesting to look at late onset cases, as these don’t seem typical, but maybe they are. Hi Deb, I think that’s an excellent point regarding the epigenetic reality. I’m not aware of research into environmental triggers but it would a fascinating area to look at. Very interesting about ‘sympathy pain’ and quite timely that you mentioned it actually. It’s very possible, according to one researcher I was talking to, there may be more strongly developed empathy levels in misophones. I definitely think it’s genetic! We have a strong presence of misophonia in our family. My mom has it, my brother has it, I have it, and now my 9 year old daughter has it. I feel heartbroken for my daughter because I know how very very hard it can be to go through. I’m trying to teach her coping mechanisms because she’s started screaming at her brother for sniffling and chewing with his mouth open. Both are triggers for me too so I can very much understand what she’s feeling. Thank you so much for this site! Noticed in last few years (I nearly 75) that various noises ‘get to me’ – in particular high females voices/rattling of plastic bags/groups of people seemingly ‘shouting’ when I walk down a street. Also TV’s turned up too loud. Ha!! That’s our problem! Cannot stand the sound of someone eating! Nor can my siblings. Not sure about my parents, as they have passed on, and I don’t remember if they were bothered. Our descent is Irish/French. I think I need the “Survival Kit”!!! I had the genetic results – I was screaming with joy around the house ” it’s genetic – it’s genetic – it’s not my fault!!! !” .Years of blaming myself for being intolerant and akward were swept away in that moment. Since then my sister and my daughter have both had the same results and although they both suffer, it is far milder for them than it is for me. One thing to bear in mind though is these DNA testing companies do not know for sure yet that this gene variant is the sole gene responsible for miso. It’s an informal study and it could be that gene variant rs2937573 makes up a part of the equation. I’m a misophone and just got my results back from 23andme. They indicate that I’m less likely to have misophonia. I ordered the test to see what it said about that trait and so that my data could hopefully be used in further research, but I wonder just how significant a role that gene actually plays. Hi Sean, that’s interesting. Yes, at present I don’t think we can really treat these miso gene testing results as much more than intriguing and worth some further investigation until more detailed results are in.